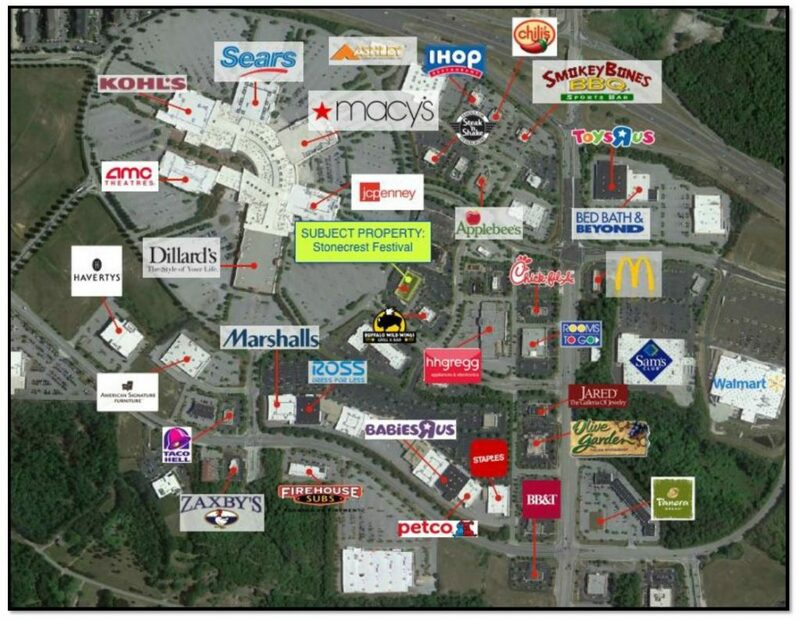 Stonecrest Festival is a part of the 1,100 Acre Mixed Use Master Planned Stonecrest Mall Property. 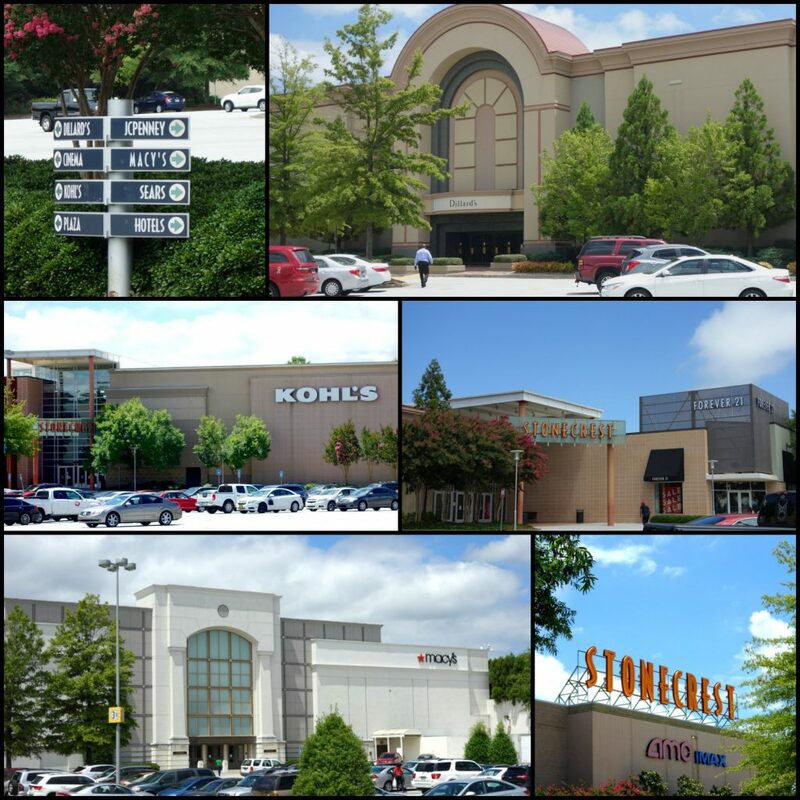 Stonecrest Mall is classified as a Super Regional Mall and contains 1.3 Million SF of Retail with 120 stores and is anchored by Sears, Dillard’s, Macy’s, JC Penney. Also attached to the mall is an AMC Movie Theater location. It services 11,000,000 shoppers per year. There are approximately 450,000 residents within 10 miles of the site. entertainment center now being built. – Victoria’s Secret is opening a new 8,000 SF store. existing Kia and Toyota stores. • New Wal-Mart has been built and opened adjacent to the Sam’s. • SAVVI Formalwear (2,500 sf), and House of Linens (7,000 sf) opening in Stonecrest Festival shopping center.